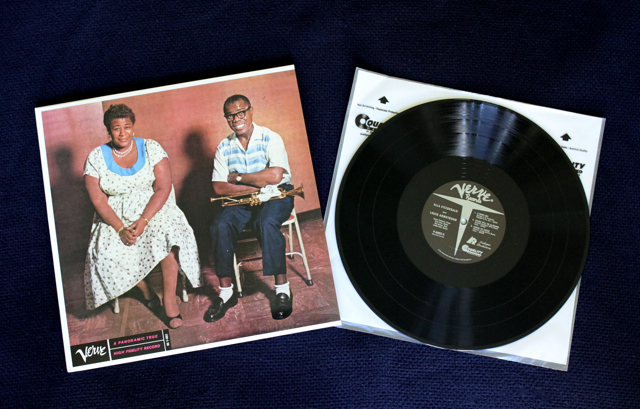 Back in 1957 the Verve Jazz Label released the first of three recordings by Ella Fitzgerald and Louis Armstrong. Simply titled Ella and Louis, this mono release stands out as a truly exceptional recording in Jazz history. Gently swinging and full of romantic songs, this album whisks you away into a “you are there” performance. While Ella and Louis’ singing are the main attraction, the Oscar Peterson Trio (along with Buddy Rich on drums) create a rhythmic backdrop that swings and embellishes at all the right places. With songs like Tenderly, Can’t We Be Friends, and A Foggy Day, this 45rpm reissue from Analogue Productions* captures all the magic of the original recording session. Dancing Cheek to Cheek clearly demonstrates how these two jazz vocalists playfully sing with each other. 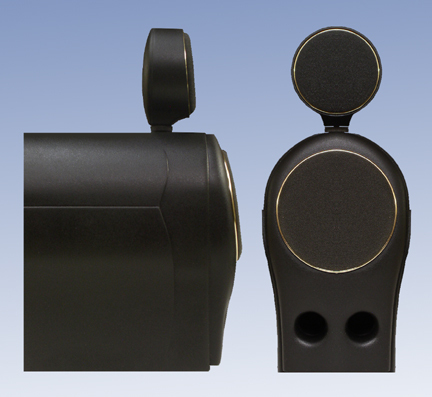 Whether its Armstrong’s soft chuckle or Ella’s quiet “oooh” , these micro dynamic details demonstrate the intimacy that will leave you with goose bumps. Isn’t This a Lovely Day is probably my favorite track on the album. The Oscar Peterson Trio plays so tastefully behind Ella and Louis. A perfect example is Herb Ellis accenting Armstrong’s vocals with gentle guitar picking. Once Ella sings out and sustains Louis Armstrong’s trumpet follows obediently with improvisational replies. From the moment the needle hits the vinyl this record pulls you in and turns off your worries. Without a doubt, this record falls on my desert island list! *Analogue Productions specializes in the original production and reissue of folk, pop, rock, jazz, and blues recordings on vinyl. More importantly, they work with original master tapes and cut records at 45 rpm for the best fidelity. Look for Ella and Louis Again – coming out on 45 June 5, 2012. One day I was looking through the CD section of Tower Records* when some album artwork caught my eye. 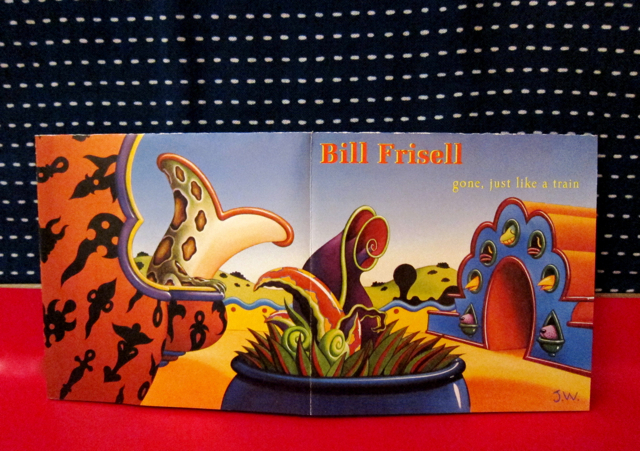 Bill Frisell/ gone, just like a train with album art by Jim Woodring was just begging to be listened to. 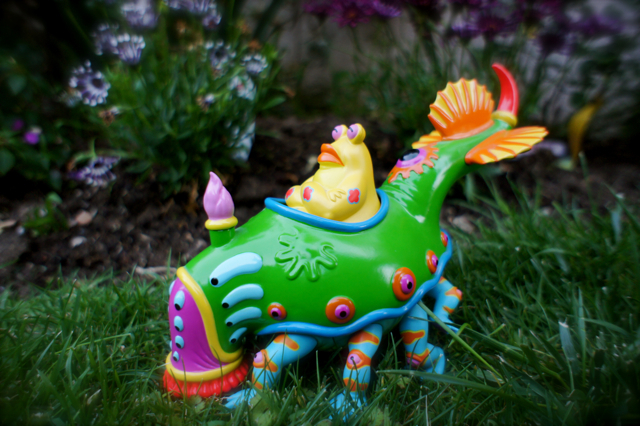 Being familiar with Jim Woodring’s art prompted me to take a chance on this album. Bill Frisell is often classified as a Jazz guitarist, but his sound is full of folk, blues, and rock influences. More importantly is how Frisell weaves these styles together with a gracefulness that is soulful and sweet. With Victor Krauss on bass and Jim Keltner on drums, Bill Frisell (guitar) creates an intimate and mysterious sound that carries the listener away. Guitar notes echo by and shift in pitch while a solid upright bass keeps moving along. Jim Keltner (drums) maintains the syncopation while adding his own signature to this wavering soundstage. Without mistake, this see-saw of sound and melody is enchanting while also very familiar. The first track, Blues for Los Angeles**, starts off like as a train building steam. Slowly, but steadily this trio pulls out for the long drive. Rhythmically being held in check by Keltner and Krauss allows Bill Frisell to paint the town with his powerful guitar improvisations. Soon we are greeted with huge bluesy guitar tones that pour out of an enchanting and deep stereo field. Careful not to overplay, Frisell manages to strike a tasteful sustaining of notes and silence just where it fits the music. Another great track, Lookout for hope, starts with a repeating bass line while the drums slowly slip into the beat. Not long after, Bill Frisell plucks a few notes, then begins the melody. You are carried through this journey with steady deep bass and drums that scatter and realign the song’s direction. That direction of music, so well maintained by Frisell, allows these musicians to explore the haunting melody. Other tracks, such as Verona, Egg Radio***, and Girl ask Boy (part 1 and 2) have a familiar blues/folk influence while also keeping a uniqueness all their own. The bottom line is that Bill Frisell delivers with this album on all fronts. Musicianship is grade A, song writing is amazing, and the recording is exemplary. *Tower Record was a retail store that sold physical media that contained music recordings for the public to buy. Record Store Day was created to celebrate the independent record stores here in the US and abroad. Maybe you have a record player in the closet, or a dusty Hi-Fi system. Time to tune-up and dust off that record player. Once the needle hits the vinyl you’ll have an “aha” moment! 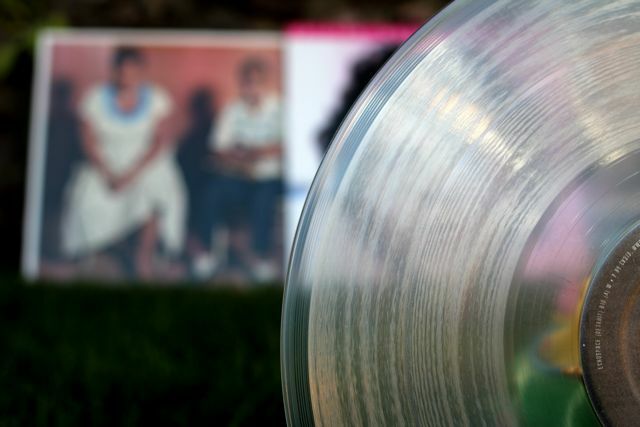 There is nothing quite like the sound of music translated through the vinyl medium. For this momentous occasion, record labels and artists have made special vinyl (yes, and CD) releases. 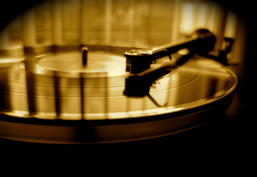 -You can find a list of record store day releases here.